Hamilton’s Views on Race and Slavery: The African Free School – It's Hamiltime! 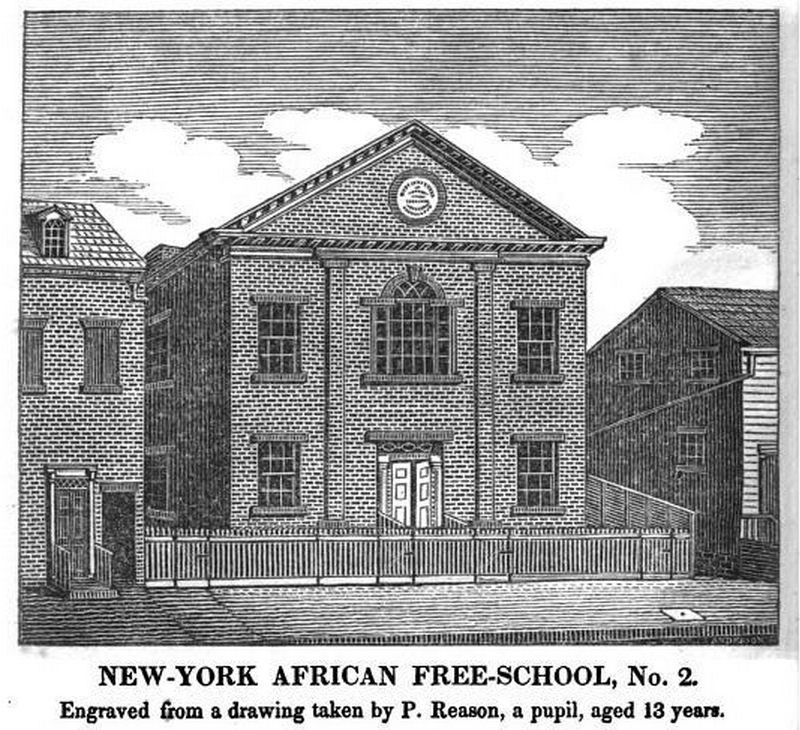 On November 2, 1787, the African Free School opened its doors. Demand grew rapidly, and the Manumission Society opened a second school. At its peak in 1822, enrollment in the schools reached 800 students, and in the 1820s and 1830s, enrollment remained steady at 600-700 students. In 1830, Charles C. Andrews, a teacher at the Male School, published a work on the history of the institution, entitled The History of the New-York African Free-Schools, from Their Establishment in 1787, to the Present Time; Embracing a Period of More Than 40 Years; Also A Brief Account of the Successful Labors of the New York Manumission Society; with an Appendix. Fortunately, the book has been digitized by Google (free e-book available here), preserving a fascinating, near-contemporaneous history from the head of the institution. Some of the first members of the New York Manumission Society were George Clinton, Alexander Hamilton, William Shotwell, Lawrence Embree, Robert Bowne, Willet Seaman, John Keese, John Jay, John Murray, Jr., Melancton Smith, Matthew Clarkson, James Duane, and James Cogswell. “1st. To effect, if possible, the abolition of slavery in this state, by procuring gradual legislative enactments. 2dly. To protect from a second slavery such persons as had been liberated in the state of New-York, or elsewhere, and who were liable to be kidnapped, and sold to slave dealers in other places. Contemporary historians have noted that the schools were a potential tool of social control for freed blacks in New York City and noted that many graduates were unable to find jobs that utilized their education and skill set, but it is undeniable that they provided a positive educational opportunity for thousands of students. Alexander Hamilton, The abolitionist. Many folks, when speaking with disdain about our founders, will mention their involvement with the vile institution of slavery. However, none of these folks seem to focus on whom among our founders were abolitionists. Hamilton, a principal figure during the Constitutional debate, was one of these men.